Vintage 1960s round lipstick holder from Avon Cosmetics. 4 rose shaped holders plus slot for lipstick pencils or eyeliner. Gold in color. 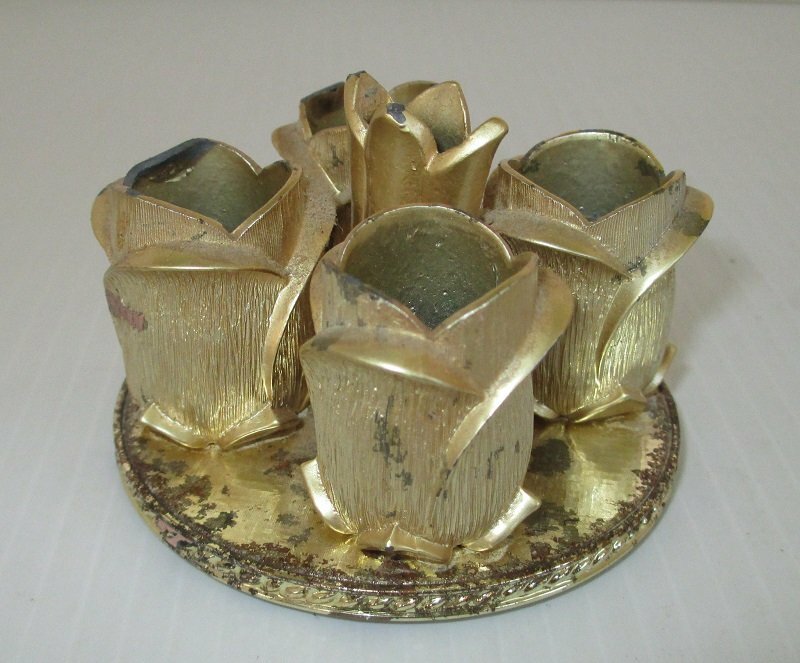 This vanity lipstick holder is from Avon cosmetics and dates to the mid 1960s. It measures about 3.25 inches across the bottom. There are 4 rosebuds standing 1.25 inches tall to hold tubes of lipstick. In the center is another flower standing about 1.75 inches tall that I assume is for holding lipstick pencils or maybe even eyeliner brushes. The base is shiny gold in color, the roses are brushed gold in color. 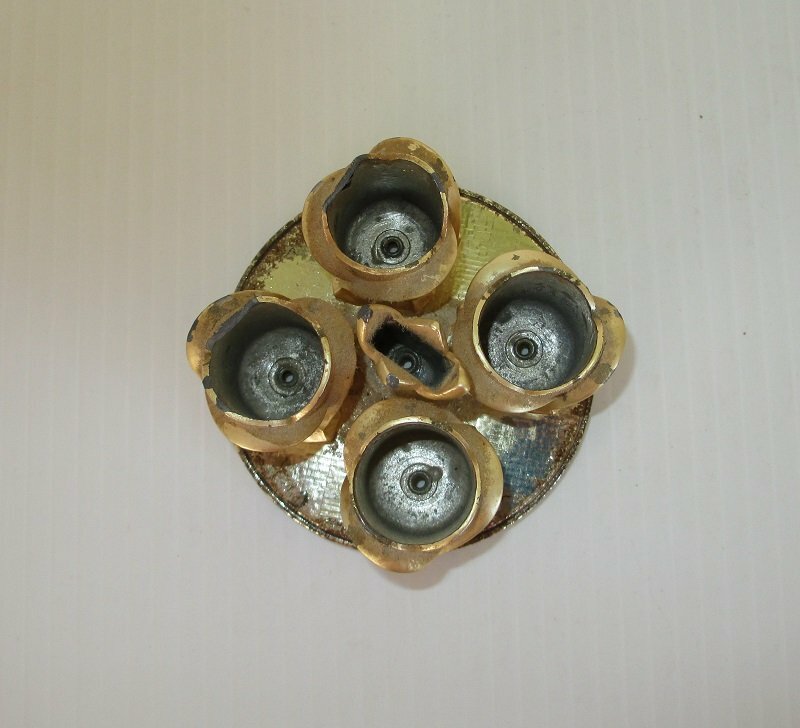 The bottom has 4 small ball feet. The underneath is stamped 'Avon Golden Vanity'. There are no loose components and there are no dings or dents. There are some spots that have age appropriate paint chipping. The top of the bottom piece has some tarnish. If desired, it could easily be spray painted but overall, if I were a lipstick kind of person, I'd use it as is and let it show the vintage shabby chic look. Buyer to pay USPS First Class Mail Parcel delivery charges of $5.95. If purchasing multiple items, please contact seller. I'll be happy to combine shipping on all items.